Our first workshop takes place on November 17, 2016 at The Boardroom at the University of Westminster on Regent Street in Central London. It is part of the EFG London Jazz Festival. 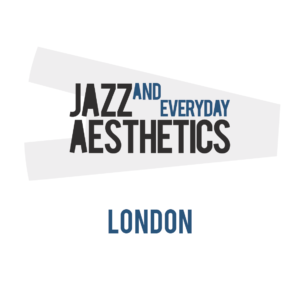 We will introduce the theme of jazz and everyday aesthetics and connect it to issues in sound studies, especially the reproduction of sounds in everyday life and our relationship to them. Participants in this event will explore how specific concepts of the jazz sound influence ideas about the music’s origins and define its artistic possibilities. Ostensibly silent texts reveal how and why Americans listened to one another in the eighteenth and nineteenth centuries; how they chose to interpret the sounds they heard tells us not only about their cultural assumptions but helps us understand how our heard world is far from an objective and neutral soundscape. Mark Smith is Distinguished Professor of History at the University of South Carolina and author or editor of a dozen books, including Mastered by the Clock: Time, Slavery, and Freedom in the American South (winner of the Organization of American Historians' 1997 Avery O. Craven Award); Debating Slavery: Economy and Society in the Antebellum American South; Listening to Nineteenth-Century America; How Race Is Made: Slavery, Segregation, and the Senses (a Choice Outstanding Academic Title); Sensing the Past: Seeing, Hearing, Smelling, Tasting, and Touching in History, and Camille, 1969: Histories of a Hurricane. His most recent book, published in 2014, is The Smell of Battle, The Taste of Siege: A Sensory History of the American Civil War. His work has been translated into Chinese and Korean and his work has been reviewed and featured in the New York Times, the London Times, Brain, Science, the Washington Post, Slate, the Wall Street Journal, and Foreign Affairs. 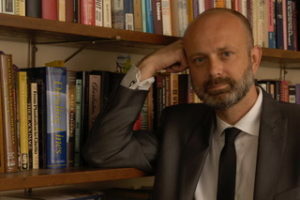 Smith is co-editor of Cambridge University Press’ series, Studies on the American South and General Editor of the University of Illinois Press’ Studies in Sensory History. He is a regular book reviewer for the Wall Street Journal. 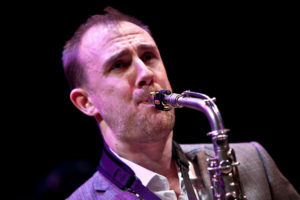 The Mike Fletcher Trio brings together composer and multi-reedist Mike Fletcher on saxes and flutes, bassist Olie Brice (Paul Dunmall, Tony Malaby, Ken Vandermark) and renowned US drummer Jeff Williams (Stan Getz, Lee Konitz, Joe Lovano). Following Mike’s nomination for the 2014-15 ECHO Rising Stars programme, the trio toured Europe, beginning with an appearance at the Barbican as part of the London Jazz Festival, and taking in a further 8 venues before finishing in the Gulbenkian Centre in Lisbon. In spring 2016 the trio was joined by Spanish trumpeter Julian Sanchez for a series of dates across the UK, culminating with an appearance at the Cheltenham Jazz Festival. Their acclaimed 2015 album ‘Vuelta’ is available on Stoney Lane Records.